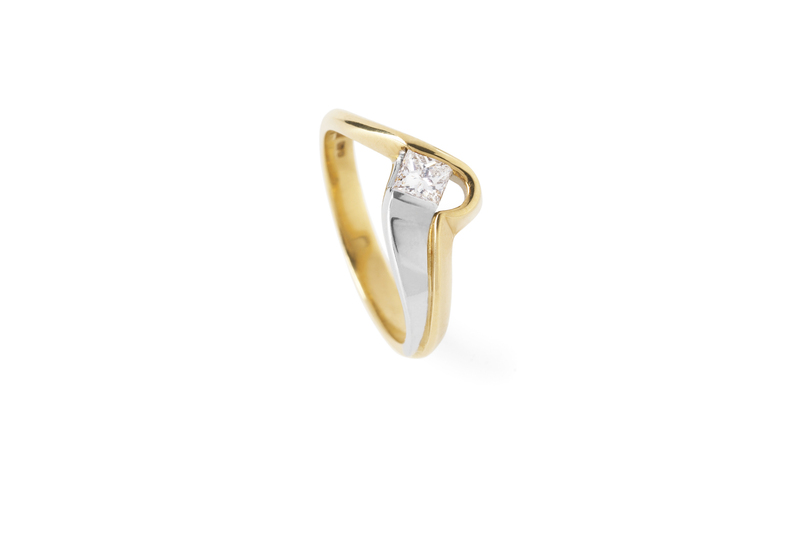 A two colour, 18ct gold ring whose gentle ribbon twist holds a square princess-cut diamond effortlessly. 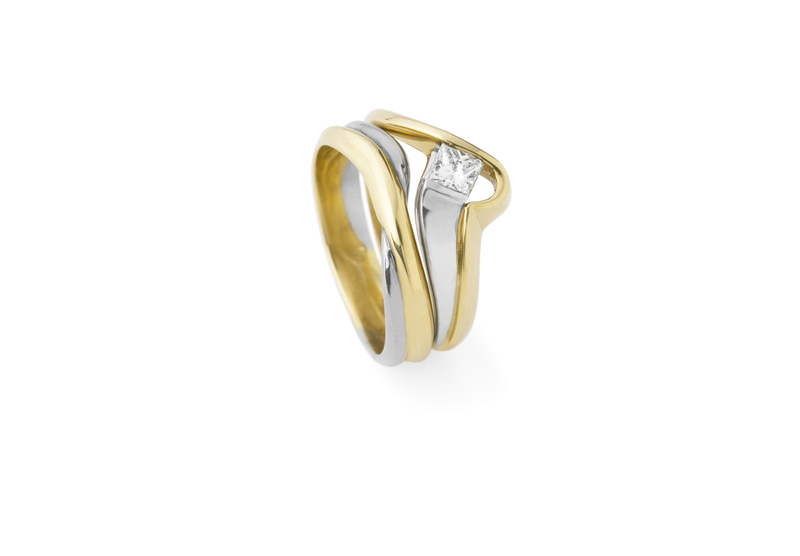 This Ring is designed to not only look good on its own but pair beautifully with the Radiant Gold Ring as can be seen on this page. 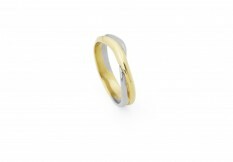 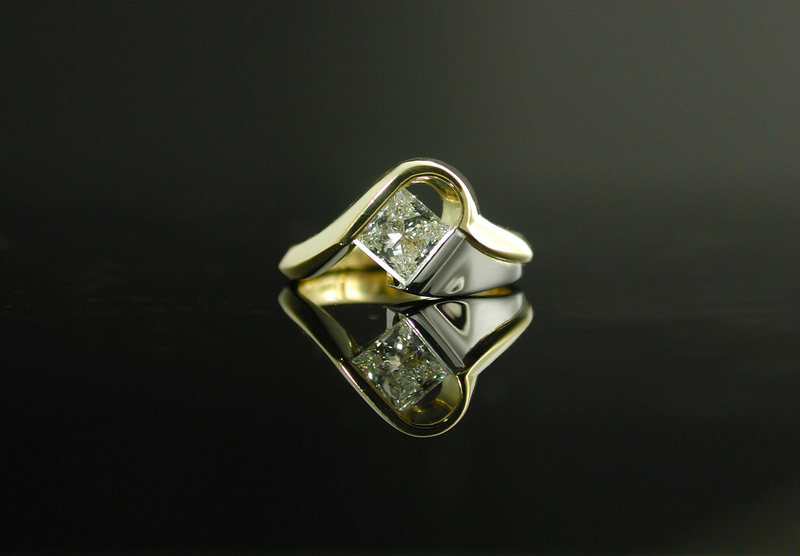 Shown here: 18ct yellow and white gold.